As a student of Bournemouth University, part of my degree requires me to do a 4-week placement to get work experience so I was excited to be offered a place on LoveLove Films’ New Talent placement scheme. My 4-weeks at LoveLove Films as part of their New Talent placement scheme has been an overwhelmingly positive experience full of valuable insights into the creative media industries, and I would highly recommend anyone with an interest in working within the industry to look into a placement at LoveLove. Whilst on placement at LoveLove I partook in a range of different roles such as researcher, helping the team with mood boards and as a shoot assistant. In terms of research, I helped the team by looking into and compiling information on potential clients, markets, platforms and other programmes that would assist the development of multiple projects. This gave me a unique insight into the industries of animated content and children’s programming (a far cry from the usual comedy or horror projects I’ve worked on at my BA Scriptwriting for Film & TV course! ), I saw projects in different stages of development, and through this I learned how these progressed from the inception of their idea, to written drafts, animatics, voice acting, animation, post-production and more. I even had the chance to draft up my own episode ideas for a project, writing out 20 short, one-line stories. I received some great feedback on my final episode ideas, and I look forward to seeing how this project develops. I also joined LoveLove for a day assisting on a shoot at the London Book Fair. During the day I learned about the role of each crew member on a shoot, and how a crew works to meet the needs of a client. The shoot day was long but it opened my eyes to the professional production process, as most of my previous experience has been purely within pre-production, making it a definite highlight of my time at LoveLove. Through being in the office environment, I gained an insightful understanding of the workflow at a production company, and how each department works both individually and in collaboration with each other. The open office layout and warm atmosphere makes it easy for departments to often work closely together, and because of this I too felt involved at all times. I also observed how the LoveLove team makes connections and deals with clients, building relationships, negotiating and hosting meetings. This has helped introduce me to the business aspects of working at a production and animation studio, something I was rather clueless to beforehand! When talking to the team about my ongoing work at university, I was met with genuine intrigue and enthusiasm, especially for my feature-length Graduate Script Project. Once I have completed future drafts I plan to send them to the LoveLove team, as members of the team have expressed interest in reading and happily giving feedback on my script. Altogether, my placement experience at LoveLove Films has been both exceedingly educational and very enjoyable. I’m very grateful for the opportunity, and seeing first-hand the team winning two RTS Awards and having their work shortlisted at various international film festivals has made me realise how good of an opportunity my placement has been, to be part of such a hard-working company. 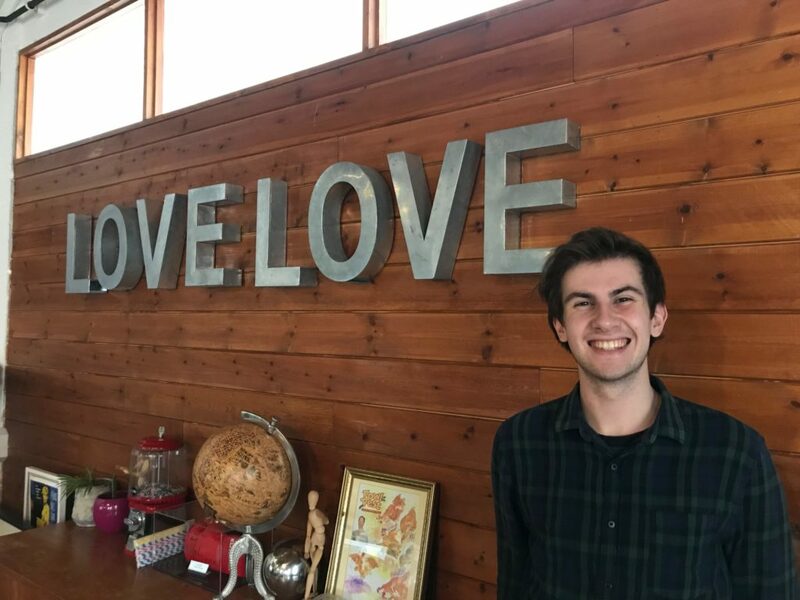 I’ve gained a whole host of useful information and potentially key connections through my placement at LoveLove Films, and the engaging nature of the experience has certainly instilled and built upon skills that will be important in my ongoing journey into the professional creative industries. I’d like to thank the entire team at LoveLove Films for making my placement experience as welcoming, gratifying and rewarding as it was. Note: LoveLove Films offer students placements as part of their university or college courses requirements. If you are interested in finding out more or applying then check out more information by clicking here. To read about Louis’ Placement Experience, click here. To read about Bruna’s Placement Experience, click here.